Brian Behlendorf is the executive director of Hyperledger, the open source blockchain consortium powering much of the trade finance industry’s experimentations on the technology to date. Hyperledger Fabric is the platform on which HSBC and Bank of America Merrill Lynch piloted a scheme in 2016 showing that letters of credit can be executed on the blockchain. Also in 2016, India’s Yes Bank launched a solution on Hyperledger Fabric, allowing vendors of a retail chain invoice discounts for advance payments. This year, we have seen a flurry of Hyperledger-backed activity, as the trade finance industry wakes to the possibilities blockchain offers for transparent, efficient and quickly executed transactions. Maersk and IBM are working on a blockchain solution to help manage and track the paper trail of millions of shipping containers across the world and digitise the supply chain process, while two Chinese companies – online marketplace lender Dianrong and a subsidiary of iPhone manufacturer Foxconn – have teamed up to launch the first supply chain finance solution on blockchain. Behlendorf has form in emerging technologies: as the primary web server developer and founding member of the Apache Software Foundation, he was influential in the internet achieving critical mass in the 1990s. He has subsequently served as CTO of the World Economic Forum and on the board of Mozilla. 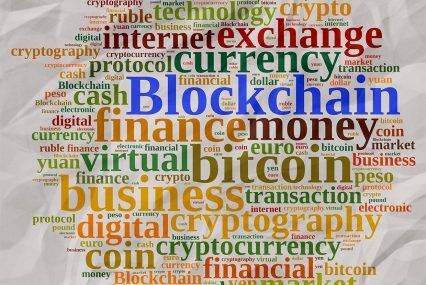 GTR: Blockchain is something we’re hearing more and more about in trade finance. A lot of it is at the proof of concept stage at the moment, but how big do you think blockchain could become in the industry? Well, I am very hesitant to spread hype. This space needs nobody adding hyperbole and hype. Nor am I so deep inside the trade finance business to know everything about it. But I do subscribe to the notion that what the internet was to information, blockchain technology can be to transactions. Insofar as they make them much less expensive to share and record, and basically reduces the cost of trust in transaction systems. While many of the earliest applications of blockchain have been in payments, building cryptocurrencies and that sort of things, I think it’s these industrial applications that will carry it forward. In trade finance, as I understand it, things aren’t really automated, and many of the deals made are based on paper and one to one relationships. You tend not to have market players that are so dominant they can dictate technology terms from top down, technology needs to be bottoms up, network based, that sort of thing. My hunch tells me that supply chain providence will drive a lot of interest in blockchain technology. Trade finance will follow that because it benefits from the same types of automation: collection of data, and development of history that providence tracking provides. It feels like one of those places that might surprise everyone in terms of how quickly it gets adopted. The case that turned me onto blockchain was the Kimberley Process in diamond trading. It was probably 30-seconds later where I realised, if you have this history of who the good dealers are in the chain, that can serve as the basis for making loans, advance payments and that sort of thing. How can you get every counterparty – buyers, insurers, exporters, etc – in a deal to interface with this technology? How does it become scalable for all sorts of transactions? Good question. I think it requires having organisations in the supply chain who are today seen as trusted third-parties or industry consortia, essentially blessing the concept and playing a role in bootstrapping the pilot. They will pull together the stakeholders, trying to get enough critical mass so it’s interesting and relevant to people. Before you ask an entire sector to cut over you have to experiment, demonstrate value. You need a minimum critical mass to do this. We’re still trying to figure out exactly how widespread you can make these permission chains. It’s very clear that these systems work when you have got a handful of actors. When you’ve got a couple of dozen or so nodes on the network who are all writing into this chain and transacting across it, preventing double-spend. Most of what we’re hearing is about pilots and small scale uses of blockchain. How far down the line is a fully operational blockchain solution, operated by a bank for its clients? I think we’ll see production systems this year and next. They will look like rigged experiments; very few parties have something near the critical mass that makes the value completely overwhelming, but they will be signposts, training wheels for the companies that are most eager to get some of the transparency, automation benefits. The goods actors will be moving first because they’re the ones who will benefit from this. The ones who commit fraud or want to obscure the origins of their products, or who have a history they’re running away from, those will be the last to adopt this kind of technology because it will hurt their ability to raise funds. I think those are the kinds of actors I’d like to disfavour in general. I do see enough promise in the pilots right now. This is coming as an outsider. The level we deal at is where companies bring requirements and source code to us. They don’t really talk about the specifics of their projects. Sometimes they give us glimpses into their use cases, but rarely into specific details. Everyone’s eager to get to production. They see the theoretical benefits. The pilots are turning out well. It’s not magic pixie dust and for some companies it will require a real rewiring of their own internal systems. You mentioned the initial production systems, is this something you see envisage rolling out over years and decades? Not knowing the shape of the trade finance sector, I don’t feel authoritative giving a timeframe. But the key metric is: when do you get to the point where you would be foolish not to do this, in any given sector? At what point did the internet really become the only way you wanted to be able to send messages from one business to another? It was not in the first year of the internet’s existence, that’s for sure. The time cycles are much more compressed now than in the 80s and 90s. When it comes to technology adoption, we can be much more agile, but I don’t think it’s this year or next when it gets to the point where you’d be an idiot for not using this technology. I think it is going to take some time to prove itself, but there will be rewards that accrue to early adopters. There’s enough in those proof of concept trials shows that those actors are getting a very clear sense of what the risks are and what remains. I haven’t heard of anyone who has done a pilot then decided to pull back. Anyone with actual operations in this space should be tracking these pilots, and having their tech team involved in conversations. Have you been following developments with the R3 Corda solution? It’s not really blockchain per se, but certainly ties in with the narrative. What are your thoughts on it as a platform? R3 has been a Hyperledger member since the very beginning. They’ve been active and credible participants. In our technology and architecture conversations we’ve been talking to them about bringing Corda over to Hyperledger, which would be a neutral home for the technology and a way to turn it into a multi-vendor technology, rather than make it R3-specific technology. R3 is considering that, they’re trying to work on that with their IT policy and their business planning. We’re all waiting, like everyone else, to see where they come out of that. There’s been a lot of talk about a time in the future, when blockchain is embedded in the industry, that payments messaging services and other intermediaries, such as Swift, will be virtually redundant. Do you see that as a credible scenario? I worked at Wired magazine in the early-90s. I put their first website up in 1993. As soon as everyone realised how big the web was going to be, which I guess was mid-1994, there was a lot of prognostications about the death of intermediaries, the death of telco giants, the death of government… the internet was seen as a dramatically disrupting and disintermediating force, as much as blockchain technology is today. What happened was that some intermediaries were disrupted, some new were introduced, Google, Apple… I am thinking of iTunes and the App Store. These technologies don’t completely eliminate traditional players. In many markets, users like trusted third parties because they have the scale. The thing blockchain technology does is reduces the need for trust in third parties. It allows us to build trustworthy transactions in an environment where we don’t have to surrender to counterparties the risk and sovereignty that we have as independent actors in the ecosystem. For someone like Swift, they’re actively involved in Hyperledger. They are on the governing board, they contribute code. We spoke at Sibos in Geneva in September and I believe they’ve recognised that they can either ignore this technology space and wake up in a few years to discover their customers don’t need them anymore, or they can jump into this to find the terms under which this changes their business. It probably does change their business from one in which they have to play the gateway, to be the core router of the network of these payments, because when they got started they were the one running the bandwidth line to the Bank of Bangladesh in Dhaka to make it all work. Now they can change their role to be something more like a cop. Somebody who sets the terms, who watches the network, who tries to identify bad behaviour, then runs the governance process around whether that actor should be removed from the network, or should the rules of governance be evolved. I don’t think blockchain technology eliminates the need for human governance. If anything it assists those who want the industries to regulate themselves, to install industry regulating organisations. I think that’s where the likes of Swift can come in.